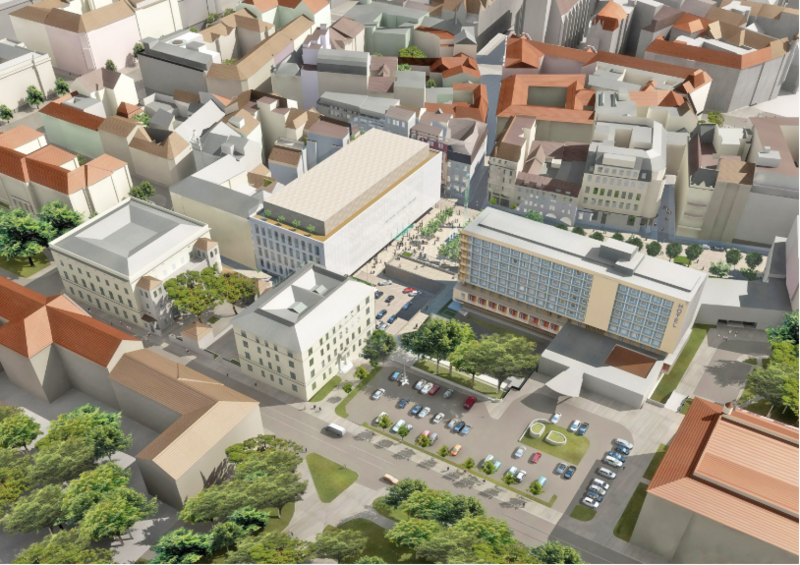 The new hall will be erected on the corner of Besední and Veselá Streets in the centre of Brno (map). Visualisation: Project of the ‘Janáček Cultural Centre’ // Retrieved at Salprobrno.cz. Brno, May 18 (BD) – The new Janáček Cultural Centre is to be finished in 2021, Czech online news server Aktualne.cz reported in April (‘Koncertní sál v Brně za více než miliardu korun se má začít stavět příští rok’, 18/4). 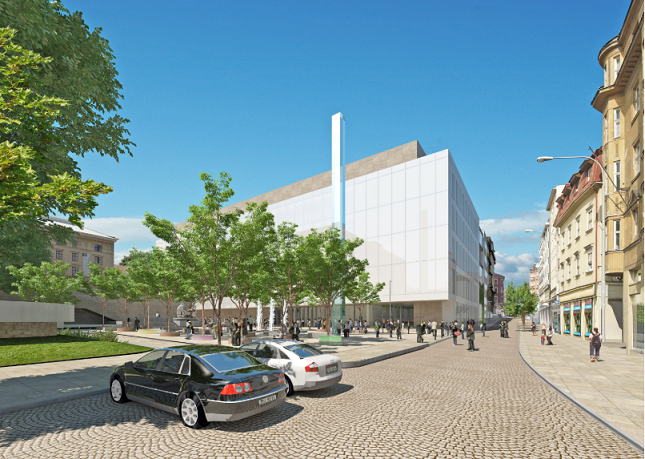 Brno’s new centre for music will have 1,250 seats. The first stage of the project, the construction of a 191-space underground car park, has already been finished. Visualisation: Project of the ‘Janáček Cultural Centre’, view from Veselá Street. Source: Salprobrno.cz. The construction project, named ‘Hall for Brno’, will become the home of some 100 members of the Brno Philharmonic, who have been rehearsing under unsatisfactory conditions. “Only half of the orchestra can fit on the stage of Besední dům, the Philharmonic’s current home. That is why extensive symphonic compositions cannot be staged there,” reads the official website of the project, which is also available in English at http://www.salprobrno.cz/en/projekt/. Janáček Cultural Centre is among the strategic projects of the City of Brno. Total costs of the project are to reach 1.276 billion crowns, the city estimates.